Andrew Sinclair is a leading figure in the world of classical sculpture, and one whose techniques and teaching skills are of major value to prosthetics artists. He will be on the Main Stage and on the stand of his training facility ‘The Sculpture School’ in the Exhibitors’ Rooms. He is one of this country’s leading figurative sculptors, with over 25 years’ experience and a catalogue of work that graces historical properties and public places. His talent extends across all genres of sculpture, from historic bronze re-creations, private commissions, commemorative portraits for museums and industry magnates, to award winning fantasy sculptures such as dinosaurs and dragons. His attention to detail, symmetry and design is awe-inspiring, whether he is creating a personal portrait or sculpting a 10ft automaton King Kong! Andrew is also a highly regarded teacher and shares his skills and tricks of the trade with students at The Sculpture School, which he established with partner Diane. 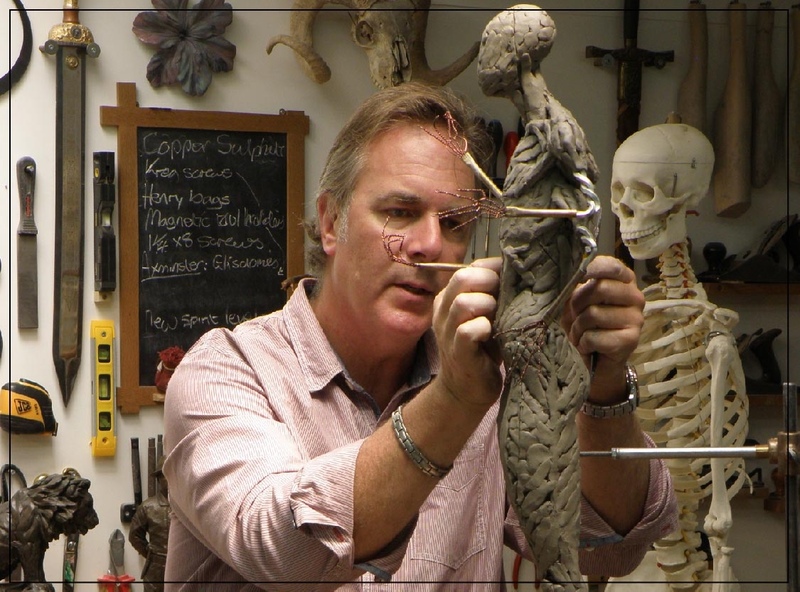 Courses there include ‘SFX Sculpture Boot Camp’, in which he covers techniques of specific use in SFX creature work and shares his knowledge of sculpture, design and anatomy that are fundamental to making the unreal appear believable. The next Boot Camp is on 25-29th January 2016.